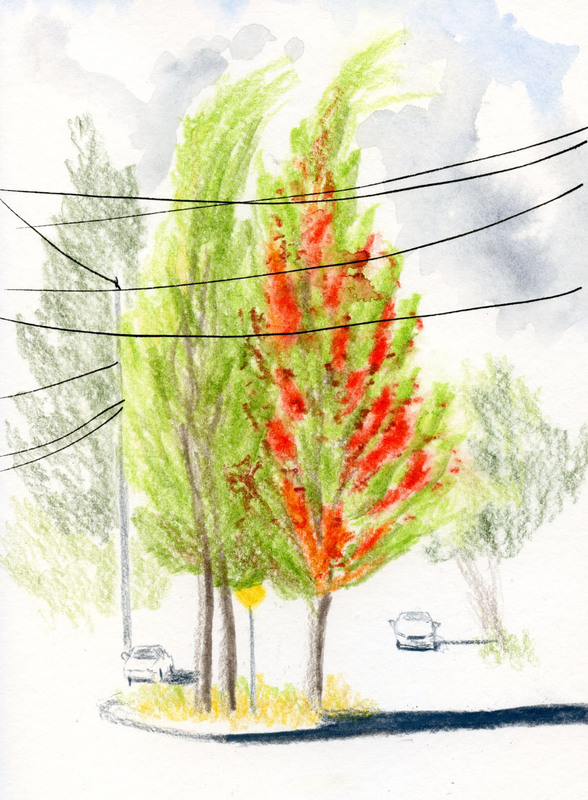 You’ve seen these three maples many times – my favorites in the Greenwood neighborhood. I sketch them periodically throughout the season to watch their color progress. As is their pattern every year, the one on the north side of the traffic circle always starts to turn before the other two. The one on the south side looks a little haggard compared to previous years, as if it has lost some leaves already. Maybe our record-breaking dry summer took its toll. 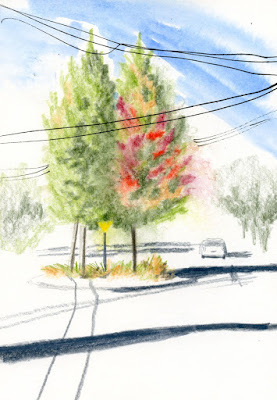 These were sketched on Sept. 10, a cloudy, breezy day. At right is what they looked like just about a year ago.